Our Etsy shop showcases designs that are available either as digital printable files or printed invitations and cards. Working closely with customers, our existing designs are customized or new concepts created to fulfill a client's need. Our turnaround is rapid, especially for printables. Our printed invitations, cards and signs are individually hand cut and inspected. I personally inspect each printed piece to ensure quality control. We have taken full advantage of Etsy’s instant download option and offer editable and non-editable cards and other images that can be used as cupcake toppers, stickers or favor tags all of which you can download and print at home. Certain items are seasonal, but if you need a Christmas party invitation in July, just reach out to us! Lemon Leaf Prints is our partnership along with a dozen other professional graphic designers from around the world. It's an online location for anyone looking for trendy special occasion stationery, business products, and giftware that is fresh, modern, and affordable and appeals to the varied styles of a wide customer base. At Lemon Leaf, we work one-on-one with the customer to create a distinctive project just for them. Rapid service and outstanding print quality make it a not-to-be-missed addition to the Print-on-Demand world. We are very excited about our new venture! 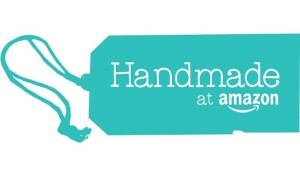 Handmade at Amazon is a new store on Amazon.com for invited artisans to sell their unique, handcrafted goods. With our foray into this new market, we are thrilled to showcase our designs to Amazon’s hundreds of millions of customers worldwide. Zazzle was our first online venture and currently features the largest quantity of products. From invitations to apparel to home goods to business designs, our eight shops at Zazzle contain well over 13,000 individual products and designs from which to choose. Our first and largest shop, Star Stream Design features invitations, cards and gifts for most any occasion. Star Stream Business is all about business and showcases business cards, letterhead, stickers, envelopes, address labels and gifts that are easily branded. Star Stream Gifts focuses on household items, phone cases and accessories. Our love for typography is highlighted in our shop, Typographix. Fun Shirts and Stuff is a mix of items that tend towards the whimsical, personal interest or causes. Corporate-appropriate invitations and cards are covered in our Corporate Occasions shop, while Mishpocha (Yiddish for "family") focuses on Jewish celebrations such as the Bar/Bat Mitzvah and various Jewish holidays. With a worldwide marketplace, Red Bubble provides high quality t-shirts, alternative wall art, striking iPhone cases and any other beautifully designed products. Our designs on CafePress tend towards the whimsical and typographical. We have fun illustrations, simple images and striking text treatments on over 600 product lines. With a steady stream of sale promotions on CafePress, you’re sure to get a great deal on our products. Greeting and photo cards are the mainstay of our shop at Greeting Card Universe. GCU carries any card imaginable for most any occasion possible. Our selection on GCU focuses on holidays and anniversary celebrations.